Digital copy machines have an internal computer that monitors the system on a regular basis. If the copier has a problem, it will show certain codes or errors that can help the technician diagnose and repair the problem. Digital copy machines are an essential part of modern offices because they provide printing and communication services with just one piece of equipment. On occasion, the copier may show error or problem codes that alert users to a problem or the need for prompt copy machine service. Understanding some of these errors can help office managers know when to call for technical assistance. Low toner level is one of the most common problem codes that the copier will show. When the copy machine displays this error, it should still have a certain number of pages that it can print before all of the toner runs out. Most copy machines are designed to alert you when there is only about 10 percent of the toner left in the cartridge. This should give you enough time to order a new cartridge or have your service technician install a new one for you. 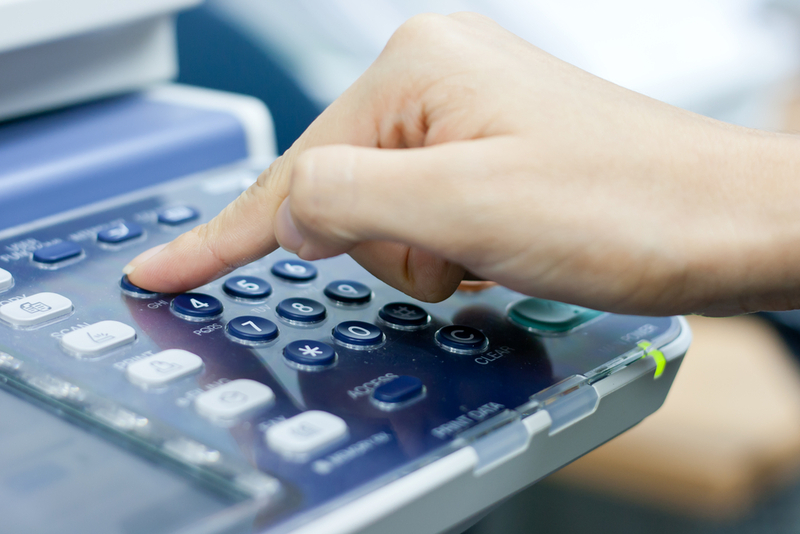 In a busy office setting, a copy machine might show paper jam errors on a regular basis. Most paper jams can be cleared by following the instructions on the copier’s display. You will need to check the trays, rollers and feeds for any stuck, crinkled or torn sheets of paper. 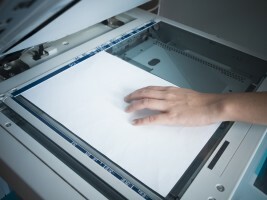 If you do not see a paper jam, there could be dust or toner covering the laser. This will need to be resolved by a service technician. Over time, the copy machine’s drum can get worn out. You might notice signs such as spots or lines on your printed pages as the drum begins to experience excess wear. The colors may be too light or too dark as the drum continues to be used. A service technician can replace the worn out drum. Most copy machines will also provide an error code so that you know to call for a repair service. 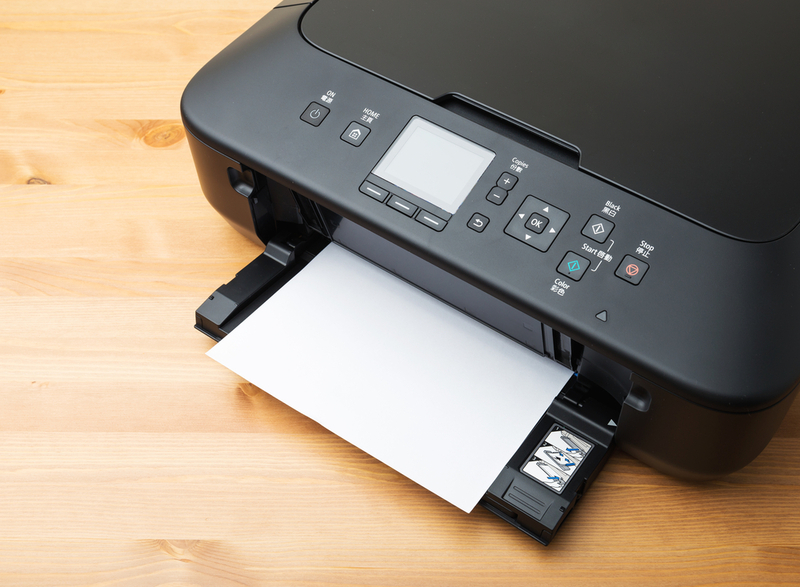 Whether you need it for home or office use, buying a new printer is an important decision. Here are a few tips you can use to make the process easier. Printers are essential machines in most homes and businesses, so picking one that fits your individual needs can be challenging because of all the different models out there. To help make this process easier, here are a few tips that can help you when purchasing a new printer. The battle between inkjet and laser printers is a common stumbling point for most buyers. Determining which one is better depends heavily on what kind of materials you are printing. 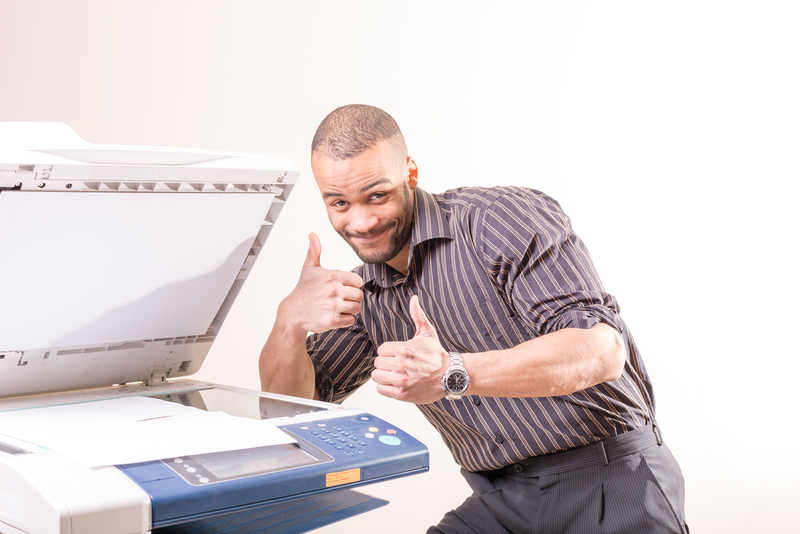 If you plan to print many black and white documents, a laser printer is for you. While a laser printer does great with producing sharp and crisp text, it doesn’t handle photos very well. If you plan to print of many pictures, consider an inkjet printer. Before purchasing any printer, check out the price of the replacement ink. Stores that sell printers will often have the replacement ink nearby as well. You may be shocked to learn that some companies charge well over the average price for replacement cartridges. Picking a printer that has cheaper replacement cartridges could end up saving you big in the long run. Lastly, you need to consider if you want an all-in-one printer or just a plain printer with no bells or whistles. If you don’t need a scanner or fax machine, choosing a traditional printer will save you money because they are cheaper. However, an all-in-one saves you money if you plan to buy all of these devices eventually. Keep in mind that there are more devices that can fail on an all-in-one printer, so you might end up needing print services in Las Vegas. 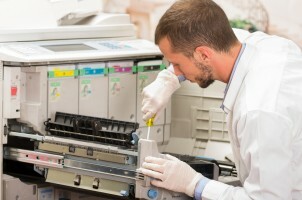 Repair services are worth considering whenever a copier produces inefficient images. You’ll also need to hire a service technician when your copier has specific operational problems. Copier repair specialists who service copiers resolve typical problems that affect performance and efficiency. If you hire a technician at the right time, you’ll protect all of your equipment. When your machine prints double images on a regular basis, you may need to schedule an appointment for copier repair in Las Vegas. However, in some cases, the paper that’s used in a copier can cause this issue. This is why you must ensure that you’re using proper paper by reviewing the manual. If the copier prints white pages, the ink nozzle might require repairs. Usually, a simple issue can lead to this problem, so you may be able to fix the unit by removing dust off the scanner glass. When a copier produces black pages, it has a defective component. Many companies request repair services after beverages spill on their equipment. This is why all businesses need to implement copying procedures for office staff. Most spills happen when people put their drinks on a copy machine during the printing phase. Food can also harm a copier because the particles can lodge in the operational components. If a lot of debris builds up, a paper jam will occur. Without professional repairs, a unit can malfunction over time. Most individuals don’t close the compartment that’s found near the ground properly. Minor damage will occur if your staff frequently shuts the bin by kicking it because the surface is fragile. In order to maximize the money and time that a managed approach to print services can save, it’s essential to appreciate the core components that are included. Document management is an integral service for a business, and print administration oversees a large aspect of that service in order to increase productivity and reduce expenses. Managed print services in Las Vegas encompass much more than just the leasing and maintenance of business machines. The four core components of MPS are process, support, distribution and materials. The process encompasses the actual pages printed by workers onsite and offsite as well as through production print projects. The primary focuses in this domain are productivity and efficiency. Employees should have access to print equipment when they need but shouldn’t be wasteful, and the business should seek ways to curb printing wherever possible, such as a document management system that’s available both locally and remotely. This domain covers all of the technical support required to keep the print process moving optimally. This includes the IT desktop support that walks an office worker through setting a print job in a new workstation application as well as the technician who has to maintain, repair or replace a multifunction printer. It also covers any technical services as well as logistical services, such as requests to add, move or change equipment. Not all printing will be completed in house or performed for in-house consumption. This domain of print administration covers external print services, such as quick printing, offset printing, specialized printing and so forth. The domain also encompasses mailing and distribution, such as the cost and efficiency of mailing a flyer to customers or hand delivering new rules and regulations to employees. Last but certainly not least is the equipment domain. This domain doesn’t cover maintenance but rather the physical possession of the machines and supplies. It covers details such as total cost to own, buying versus leasing, new versus preowned, setting aside physical space for the machine and so forth. It also encompasses the materials that will be consumed during the print process, such as paper and toner. Paper jams are one of the most common problems that occur in office copy machines. Learn how to avoid these problems and how to troubleshoot them if the copier tells you that there is a paper jam somewhere within it. Copy machines are some of the most heavily used appliances in most office settings. People use them to send and receive faxes, make copies of handouts and documents and to print large jobs. Now and then, a paper jam can develop inside the copier, which causes it to stop working. These tips can help you to solve the problem, but you can always call an experienced copy machine service technician if you need further assistance. The first step to troubleshooting a paper jam in the copy machine is to check the machine’s error code. Some copiers are specific enough that the error code tells you exactly where to look for the problem. This saves you time when clearing the paper jam from the machine. The most frequent problem associated with a paper jam error is improper seating of the paper in the loading trays. The copy machine’s paper must be neatly stacked with no ripples or bent edges. Folded corners and tears in the paper can also cause the machine to experience a paper jam error. Try removing the stack of paper and taking out any pieces that are damaged. Then you can reload the paper into the tray and try again. Dust, debris and shreds of paper dangling from the trays, feeders and rollers can all cause a paper jam error. A piece of paper could also be stuck somewhere within the feeding system. Double-check that the paper in the tray meets the copy machine’s requirements for size and thickness. Some copy machines will not work properly with papers that are too thick or thin. If the machine is still reporting a jam, it is best to call an authorized service technician for help.